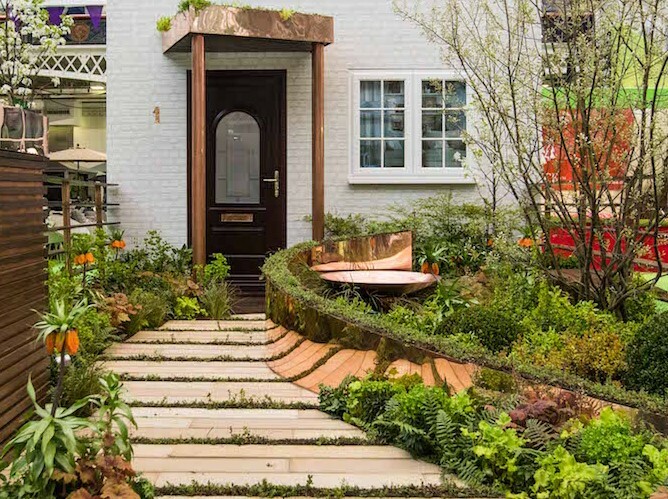 If you are seeking ideas and inspiration for your own front garden, then the Ideal Young Gardeners Of The Year competition is the perfect place to find it. 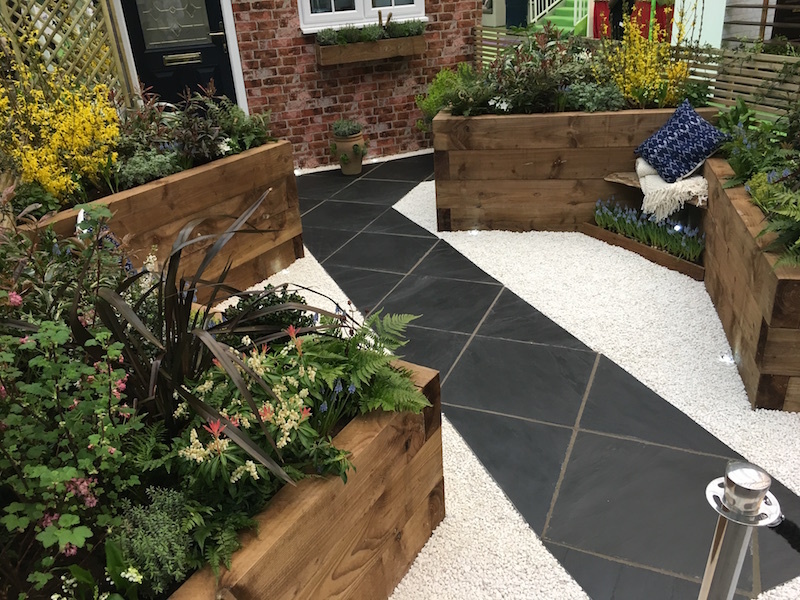 Students from six of the UK’s leading horticultural colleges design and build incredible show gardens at the Ideal Home Show each year, and they are filled with fabulous ideas for you to take home and try out. This year the brief was for front gardens. What they accomplished blew the judges away, and I think it will do the same for you. 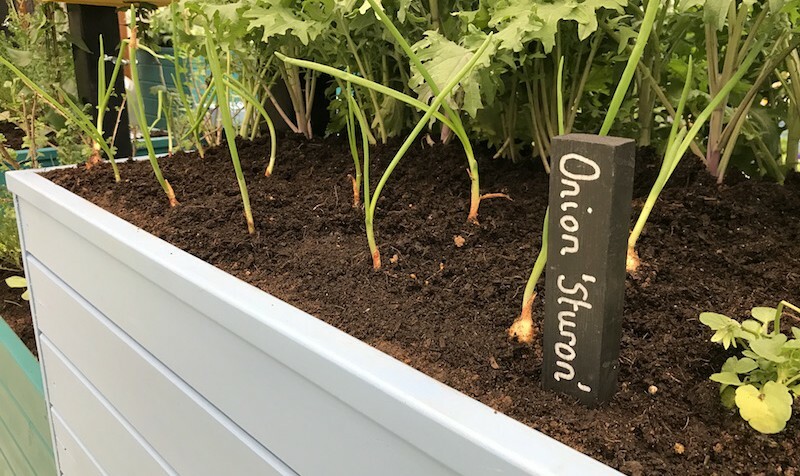 I’ve put together a few of my favourite features from each garden to inspire you on just what can be accomplished in a front garden, so have a look below to get your creative juices flowing! Hide your wheelie bin in style. 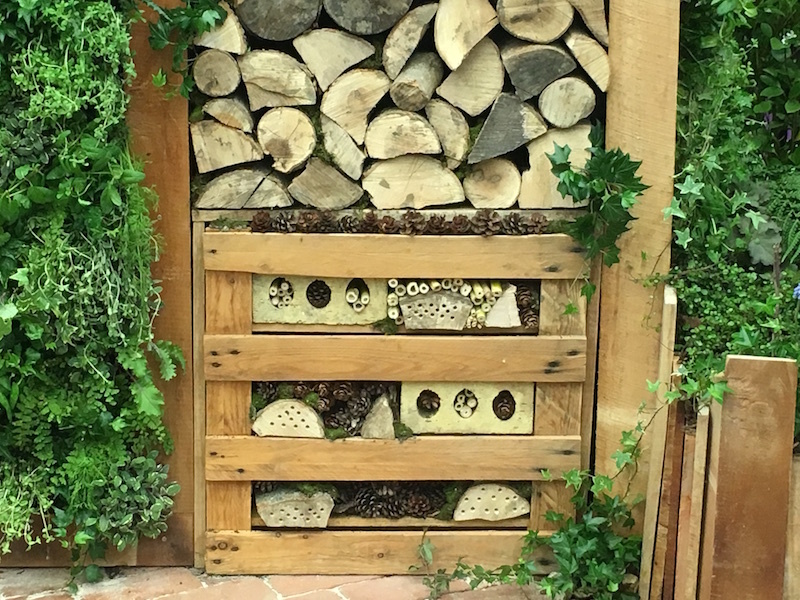 This beautiful storage solution serves as a bin box to hide the unsightly wheelie bin, but it also contains a log store and an insect hotel to invite beneficial bugs into the garden. Made from wood, it blends seamlessly with the garden. It also uses planting on the roof and vertical planting up the front to turn the whole construction into something wonderfully natural. As well as the insect hotel built into the bin box, this garden also featured passageways and homes for hedgehogs (who are in need of all the help they can get at the moment), and a pond for frogs and other creatures. The planting was also centred around attracting wildlife by using species that attract bees, butterflies, birds, and other helpful creatures. 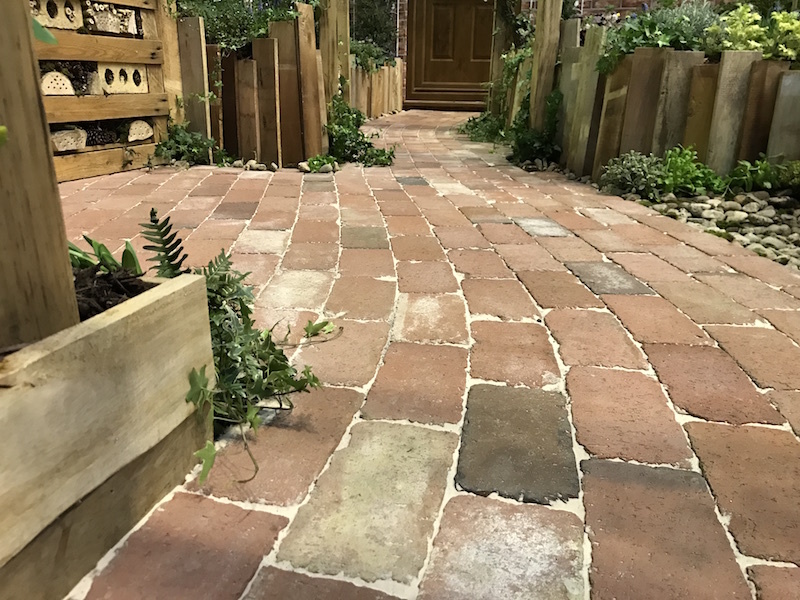 The students made incredible use of old materials by using discarded bricks to create a rustic brick path, reclaimed wood cut to new uses, and they even recycled moss from the college roof! This kind of ingenuity can save you serious pounds, and has a great ethic of recycling and not wasting our resources. What have you got laying around that could find a new purpose in the garden? This incredibly unique idea to create waves out of the ground was inspired by the rolling hills of the Yorkshire Dales, and it gave a truly showstopping finish. 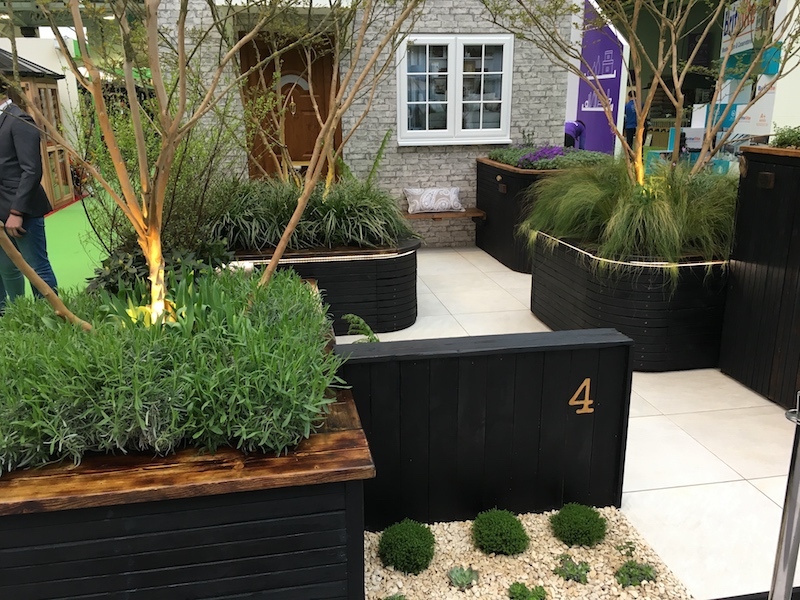 Although the practicalities of creating and maintaining this exact design at home may be prohibitive, it does show you the power of landscaping to give incredible character to a garden, and should open your mind to new possibilities. Think about how you can use slopes or levels to add character to your garden. The students at Askham Bryan went a step further and completely disguised their wheelie bin storage so that you would not know it was there if you weren’t told. Are there any ugly things on your house or garden that you could disguise as something else? If so you could completely cancel out there negative impact. 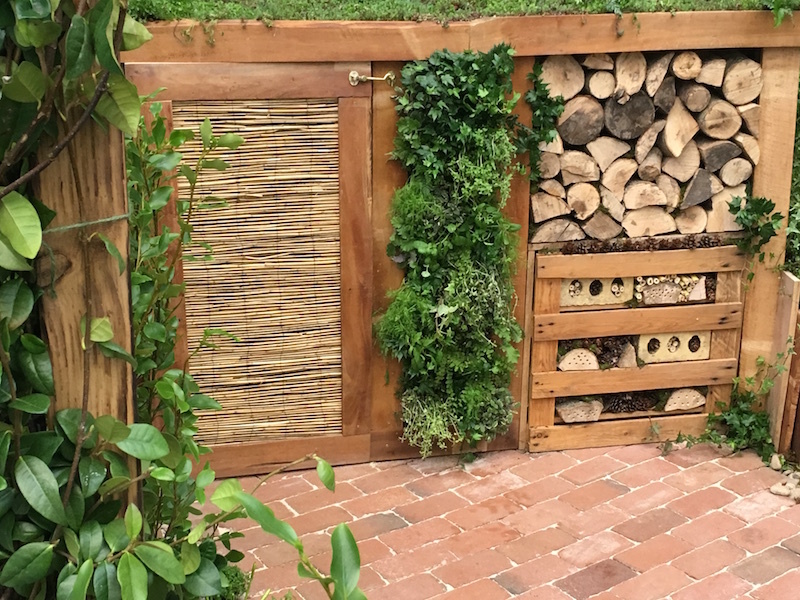 The students at Writtle hand-burnt all of the wood for their garden using an old Japanese technique called Shou Sugi Ban. This seals the wood all over without using chemical treatments, while also creating a striking visual feature for the garden. This one would take a real investment of time and effort, but the result is mesmerising. 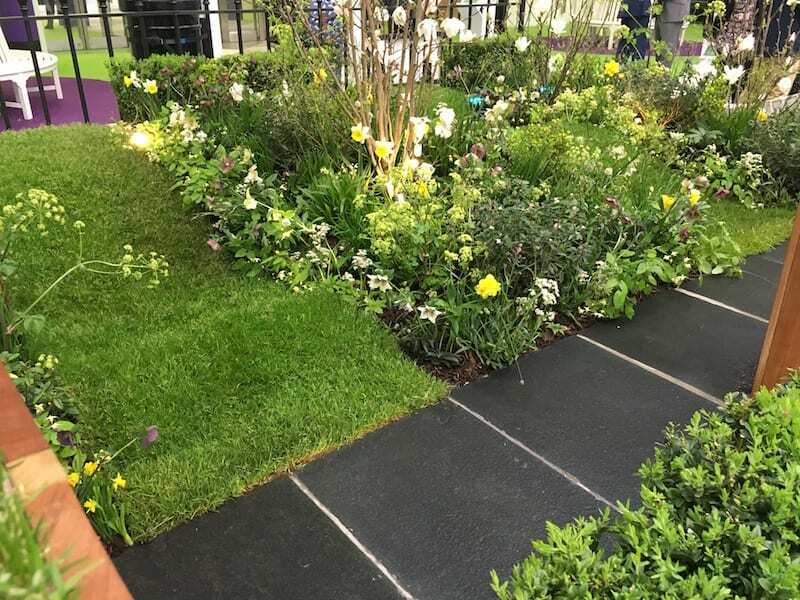 The porcelain tiled floor of Writtle’s garden uses no grouting and had a drainage space beneath that fed into a SUDS (sustainable urban drainage system). This has a dual purpose of providing water for all of the plants in the garden while also reducing flood risk for the garden and the street. Make it a community space. 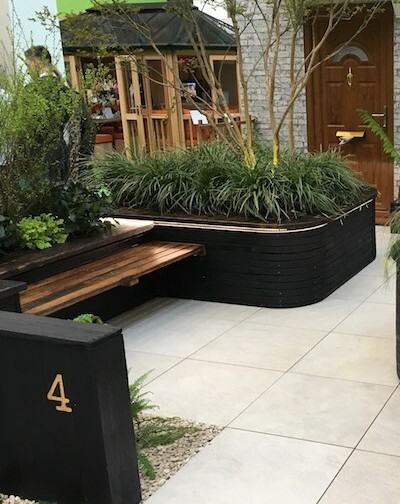 This garden really gives space for people to interact with their neighbours, with pleasant seating beneath the boughs of multi-stemmed trees, making it a garden that draws the community in and encourages interaction. Capel Manor used gleaming copper throughout their garden. Not only is it bold and eye-catching, it also draws light into the garden and reflects it, brightening the whole space. 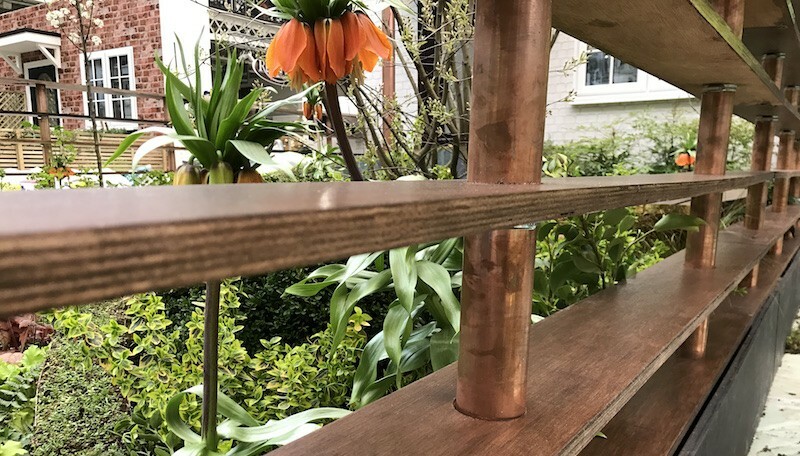 Copper may not be a practical choice for you own garden, but it should inspire us to think outside of the box in terms of what materials we use in our garden design. The design of Capel’s porch is clever in several ways. First, setting the lines at an angle to the house makes it bold and unique feature. Second, the canopy roof is planted to add character as the plants grow above. Third, drainage is installed through the copper pipes that support the roof, and water drains down to the ground. 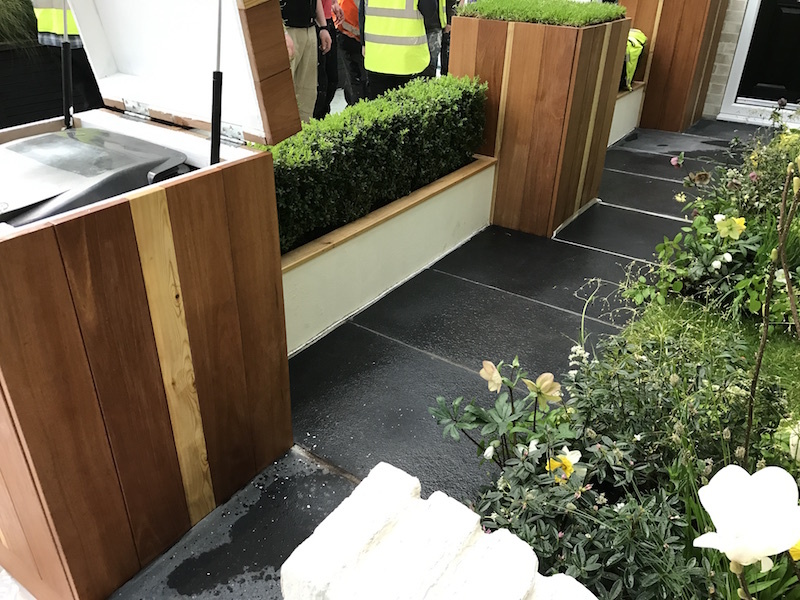 The bespoke fence is designed to be visually appealing and stylish, but it also gives a more spacious feeling with the separated slats that allow plenty of light through and into the garden. The stunning curved copper spiral wall that sweeps along the path and draws you into the garden is also fabulously dramatic. Pershore wanted to create a garden that was almost entirely edible. This would of course serve the family who live there, but also it was built with the idea that the produce would be free for neighbours to take too, which would draw the community in to interact. Don’t be afraid to add a little colour and cheer to your garden. You can love or hate the bright palette they’ve used here, but it is undeniably fun and friendly. Don’t get trapped on the ground. Height is a dimension that you can take real advantage of in a small garden space. 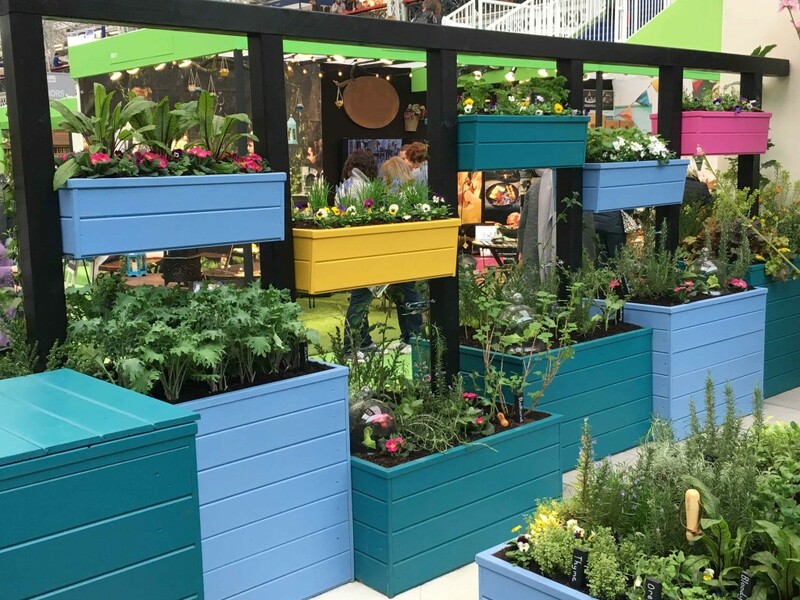 Pershore made the most of theirs with this wall of planters along one side, and with the stacked planter at the front of the garden. 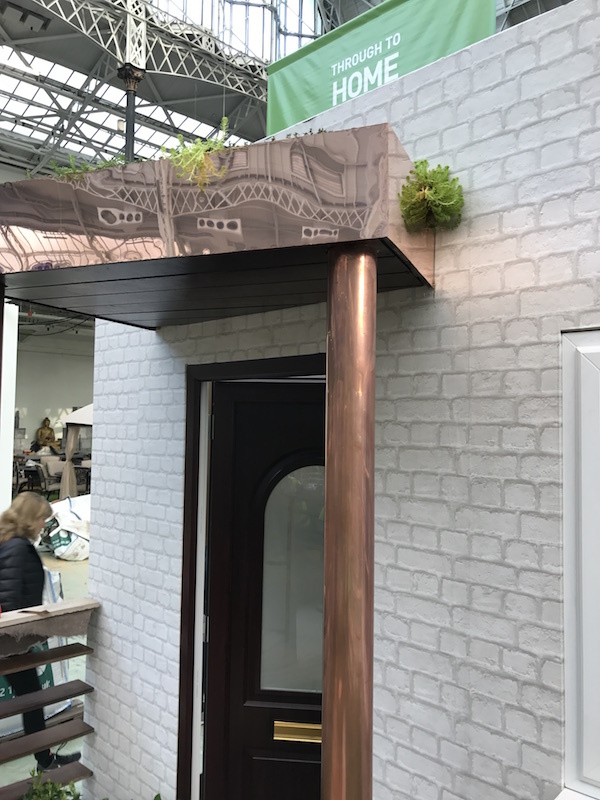 You can also use window boxes and drainpipe planters to take advantage of the vertical space on your house. Raised beds are easy to maintain and they can look fantastic in your garden, adding height and character. Shuttleworth built theirs with these gorgeous wooden sleepers and set them at angles to add to the illusion of space. 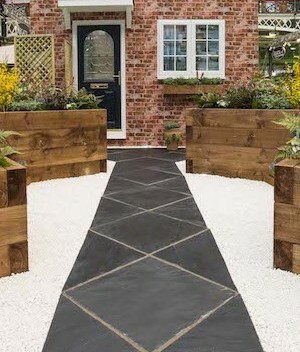 The bold contrast of white gravel on black paving adds incredible definition to this garden. The right use of contrast can make your garden instantly stand out from the crowd. If you enjoy the clean lines and simple elegance of Shuttleworth’s garden, then perhaps a more minimalist design is right for you. For many people this uncluttered garden is just the serenity they need as they return home from work or life in the outside world. We have just spent a wonderful day at the Ideal home exhibition. We have a small garden and I was very jealous of your wonderful work. I am very interested to have the cubbard that has plats on the top looks like the dustbin shed, brilliant. Thanks again just love your work. Thank you for your kind words. It’s all the work of the young students, so they deserve the credit. We just help them to get it out there. They built those bin cupboards themselves, so I don’t know if you’ll find something similar to buy. If you do, let us know where, because we’d be interested!